For many, walking into a used car dealership and haggling with a used car dealer may feel like going into the lion’s den. Even though the reality of the majority of used car dealers is exaggerated, it is still true that car salesman are highly seasoned salespeople and also understand how to drive a hard deal. Despite a used car dealer generally having the advantage, you don’t have to let yourself be taken for a ride. Follow these 10 tips to help make sure you keep the upper hand next time you are negotiating to purchase a car, truck or SUV from a used car dealer. The sales office is the dealer’s territory. When they sit behind their large desk, they increase their status and this gives them a powerful psychological advantage in negotiations. Although you’ll most likely have to put in the workplace to finalize the deal, avoid this for as long as possible. Begin your discussions off at the showroom floor or the lot where you won’t feel as frustrated and trapped. Better still, you can delay the used car sales pressure tactics still more efficiently by beginning the buying process online. Most used car dealers these days have a site displaying their used car inventory, so use this to do your homework on vehicles which interest you. Assessing on prospective cars and their market prices before setting foot on the showroom floor will provide you a significant advantage at the start of the bargaining procedure. Once you start talking about a deal, most used car dealers will casually ask you what kind of budget you had in mind. Never answer them directly. They’re not asking this so they can helpfully show you the vehicles which most closely match your needs. They’re finding out how much you’re willing to spend so they can concentrate on extracting maximum price from you. As soon as you mention a number, you’ll quickly find that no deals below that amount will be entertained. Never go to a used car dealership on your own. Used car dealers are experts in high-pressure sales techniques and when they can focus their whole attention on your alone, you are giving them an easy ride. Unfortunately, this is particularly true if you are female. The average used vehicle dealer will see you as easy pickings, however unfairly, and will not be afraid to go directly into hard-sell mode. Taking a knowledgeable and assertive friend with you will give your used car salesman more to think about and give you a better chance of standing your ground under potentially intense sales pressure. If a used car salesman feels the negotiation process is not going their way, they will usually try to distract you to bring things back on track. Should they keep breaking off to speak to their supervisor, it is likely not to check whether they can agree to your requirements. They are just making an excuse to break up the flow of the dialogue. In precisely the exact same manner if they suddenly switch to small talk with no warning, take this as a signal they are attempting to regain control of the conversation. If you can, do not walk into a used car dealership with no financing lined up if you are not paying with money. Not only will you almost certainly get a better deal from the lender, but having fund in place warns the trader that you are properly prepared and should not be treated as an easy mark. If you use one of the dealer’s finance alternatives, always focus on the total “drive off” cost instead of the monthly payments. It’s too simple for the dealer to slide a few additional extras into the deal by concealing them in a monthly cost. A couple of bucks on each repayment might not look like much, but it can quickly accumulate over the period of the credit term. Additionally, be certain that any non-optional extras such as taxes or registration fees are included in the quoted price, so you’re not hit with unexpected charges later. As soon as you’ve agreed on a price stick to your guns. It’s easy To feel you have done the hard bargaining work and let your guard down a bit. Experienced used car dealers know this and will often take the opportunity to sneak a few final extras to bump up the cost. Do not fall for it. Lastly, ensure everything you have discussed is put in writing before you sign up for whatever. Used car dealers can have unusually weak memories about extras they have promised verbally but haven’t written down on paper. For confident and assertive individuals, bargaining with a used car dealer can be challenging. After all, they are the ones with the expertise and sales knowledge. However, you are the one with the cash and the last say on the offer. Never be afraid to walk away if you are feeling under stress or are unhappy for any reason. 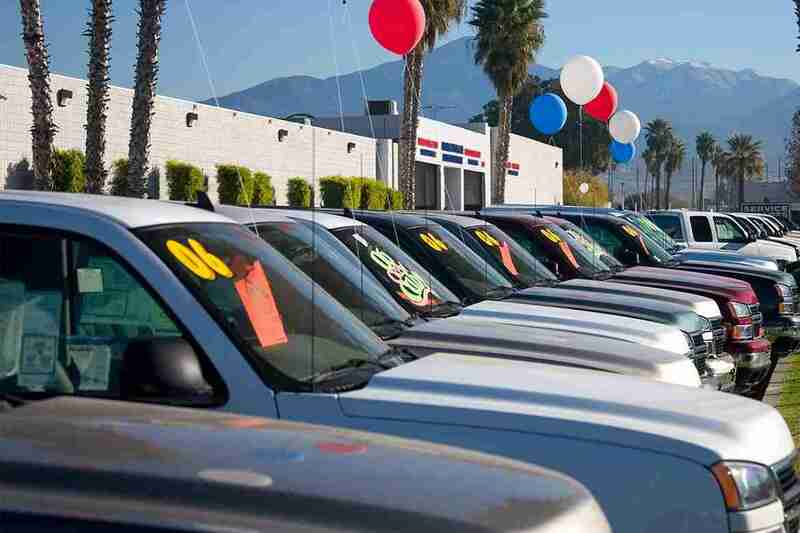 There is always another used automobile dealership, yet another car and yet another day to buy a used car.